The Department of Cultural and Social Anthropology regularly welcomes visiting scholars. The academic exchange is not limited to hierarchical structures. As students, you have the opportunities to get to know the guests in workshops and in face-to-face discussions. The thematic scope ranges from comprehension questions to feedback for one’s own research objects. Social events offer the opportunity for informal exchange. Thus, students get the opportunity to practice academic exchange already during their studies. In 2016, Jun-Prof. Michaela Pelican and master students of the department organized a keynote and workshop discussing the topic. 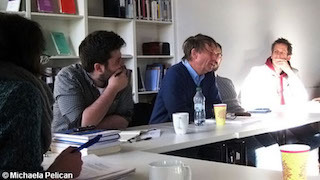 In 2013, Tim Ingold (Aberdeen) visited the deparment. 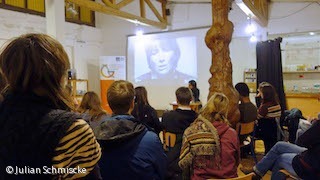 Students had several opportunities to engage with the guest scholar.